• Try to lose weight: It is well-documented that overweight people often snore. Being overweight can lead to snoring because fat accumulates under the tongue, in the palate and in the throat, making it more difficult for air to pass and the narrow respiratory passages more likely to vibrate. Just a couple of extra kilos can cause snoring and people who successfully lose weight often experience a significant reduction in their snoring. • Quit smoking: Smoking irritates the mucous membranes and contributes to swelling in the throat. Studies have shown that problems with snoring occur at twice the frequency for smokers as for non-smokers. • Avoid alcohol: Alcohol makes the muscles in the throat relax and increases the risk of snoring. Therefore, people who snore should limit their consumption of alcohol and avoid alcohol entirely for at least four hours before going to bed. • Learn to sleep on your side: Snoring is often worsened when you sleep on your back. Have your partner observe you to see if you only snore when you sleep on your back. You can learn to sleep on your side by making it uncomfortable to sleep on your back. For example, you could sew a tennis ball onto the back of your pyjama top. You could also position a large pillow behind you to stop you turning onto your back. • Breathe through your nose: A blocked nose can result in snoring. A nasal expander opens the nostrils and improves air intake through the nose. • Ensure a dust-free sleeping environment: Different allergies can constrict the respiratory passages. Ensure you maintain a dust-free sleeping environment, particularly mattresses and linen. 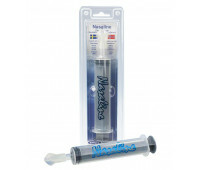 Daily nasal rinsing will help to reduce the symptoms. 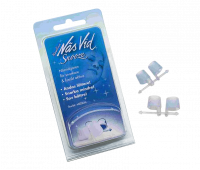 We recommend Nasaline nasal rinser combined with Snooze nasal expanders. • Choose the right pillow: A large pillow exposes the throat to pressure. 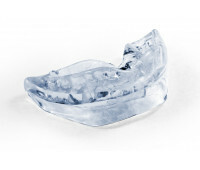 • Snoring mouthpiece: Snoring is often caused by the soft palate and the root of the tongue partially blocking the respiratory passages in the throat. 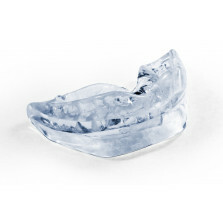 Therefore, in most cases an anti-snoring mouthpiece will remedy the problem.